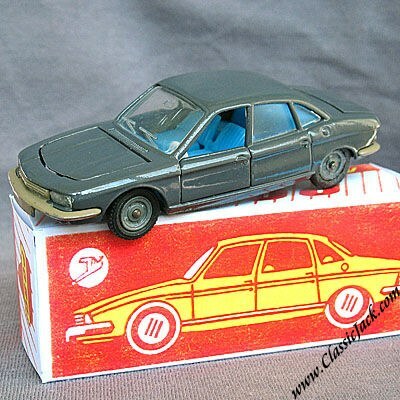 USSR made Mebetoys NSU RO-80. Produced under license from Mebetoys of Italy in the 1970's by a state-owned company in the Soviet Republics. The state-owned toy concern bought the rights to some Mebetoys models, and produced some very interesting versions of them when the production of these models in Italy was ended. Physically identical to the Italian production version, all diecast with opening doors, hood, trunk, complete engine and interior detailing, turning wheels with real rubber tires. Comes with a reprinted Russian box with Cyrillic script print.